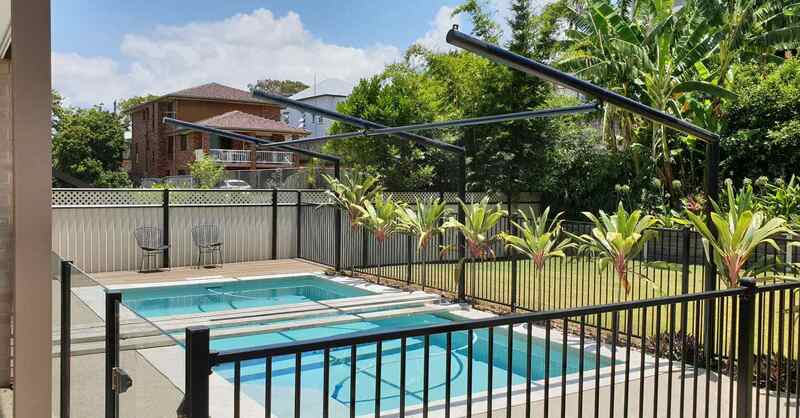 Modiform are designing more and more of these beautiful outdoor structures that are cantilevered and free from inconvenient and unnecessary posts. The simple design of a cantilevered leg, engineered for stability and the roof, crafted to handle Australia’s climate like no other. Construction: Custom Cantilevered Structure with 90mm Round Steel – Powdercoated With Laser-Cut Base Plates and Concrete Free Pile Cap Footing Systems. 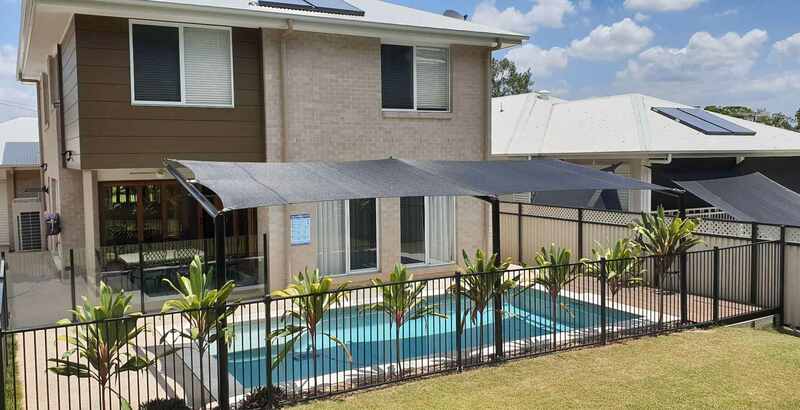 Shade Construction With Monotec, Commercial Grade Fabric and 15 Year Warranty. A cantilever is a beam anchored at only one end. The beam carries the load to the support where it is forced against by a moment and shear stress. Cantilever construction allows for overhanging structures without external bracing. 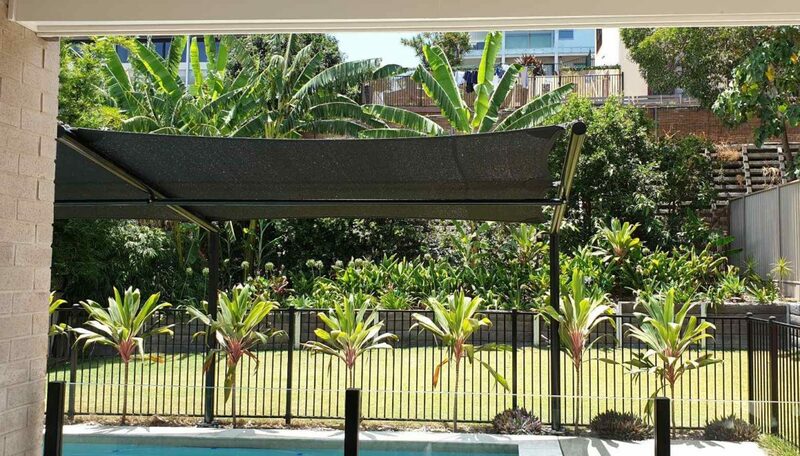 The main advantages of cantilevering the shade structure is that by building out from each end enables construction to be done with little disruption to what it covers. The span can be greater than that of a simple beam, because a beam can be added to the cantilever arm. 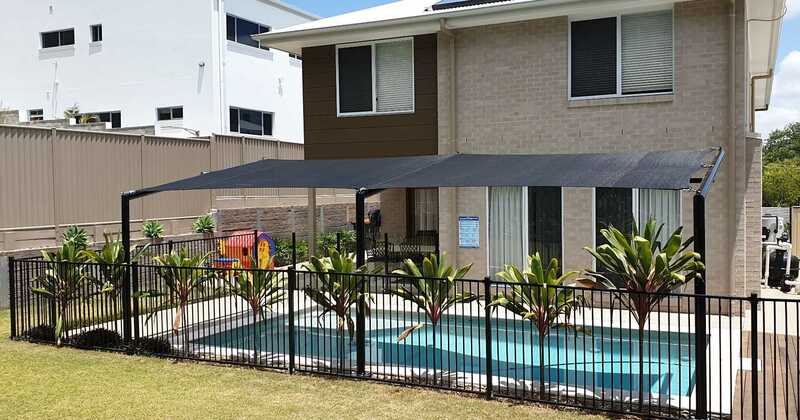 This brand new home’s new freestanding shade sail helps ensure protection from sunburn and skin cancer from their newly built pool.